Toronto, ON – UR-Channel is pleased to announce it has been engaged to build and manage Kernels Popcorn own privately branded digital signage network and the National rollout is well under way. The partnership between the companies began with a Pilot Program at one location that proved to quickly accomplish its objectives according to Eli Staiman, Kernels Chief Operating Officer. 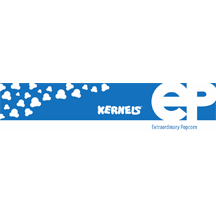 Kernels analysis indicated improved “capture rates” on its daily promotions by a large enough percentage in sales to see a full return on investment for the initial site early on in the 90 day Pilot period. These results triggered the outfitting of an additional 13 locations. By the end of the Pilot period, every location experienced growth and positive ROI. UR-Channel’s “Full Circle Approach” digital signage solution for Kernels includes network design, engineering, all requisite hardware, installation, UR-Show Content Management Software, content development, proactive monitoring and service, entirely managed and supported under one roof. The UR-Show CMS platform offers highly flexible degrees of control over the network from self to fully managed scenarios. In this case, Kernels management directs ad placement and programming. UR-Channel creates all the content for the network working closely with Kernel’s Marketing Department to develop clips which amplify branding, promotional and merchandising strategies.